There&apos;s no place like home! Gigi Hadid says she&apos;s the "worst neighbor" — and no, it&apos;s not because she and the #SwiftSquad are a bunch of party animals. "I also love to sing Broadway show tunes at home, which makes me the worst neighbor, but [it&apos;s] a good stress reliever," the Tommy Hilfiger brand ambassador and guest designer, 21, told Harper&apos;s Bazaar in the October 2016 issue. "I love &apos;Popular&apos; from Wicked. That&apos;s the only one I&apos;ll tell you because I know at some point, someone&apos;s going to ask me to do this and that’s the only one I&apos;m willing to do publicly." But to be fair, her love of almost 10 months, Zayn Malik, is also to blame. "My boyfriend gets into it too!" Hadid confessed. The Sports Illustrated swimsuit model also dished on why she and Hilfiger, with whom she created a capsule that launched September 9 at New York Fashion Week 2016, were the perfect collaborative match. "Every time I see him he just reminds me that being positive is so important," she shared. "He&apos;s always happy and welcoming and warm, and it trickles down through his entire company. Being nice is so important. It&apos;s something that I think Tommy appreciates in me and something I appreciate in him, so that&apos;s why we work really well together." 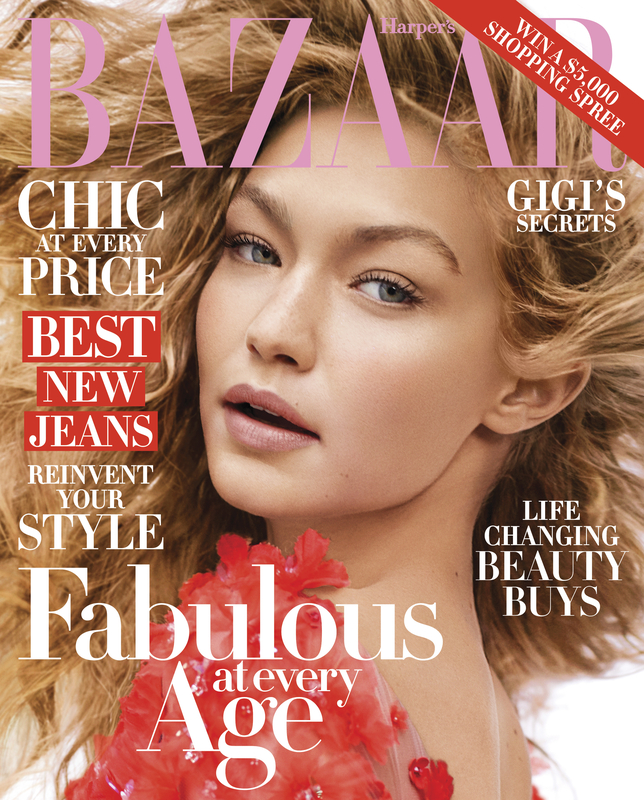 Hadid, who stuns in red florals on the cover of Harper&apos;s Bazaar, shot by Karl Lagerfeld, spilled the secret to maintaining her lithe frame too: Everything in moderation. "I rode horses and played volleyball back home, so when I came to New York, it was really hard for me to just go to the gym," she admitted. "I need to have a sport and wake up and want to get better at something and boxing does that for me. … My personal motto is &apos;Eat clean to stay fit, have a burger to stay sane,&apos; so if I&apos;m in the mood, I&apos;ll go to JG Melon in the [NYC neighborhood] West Village."